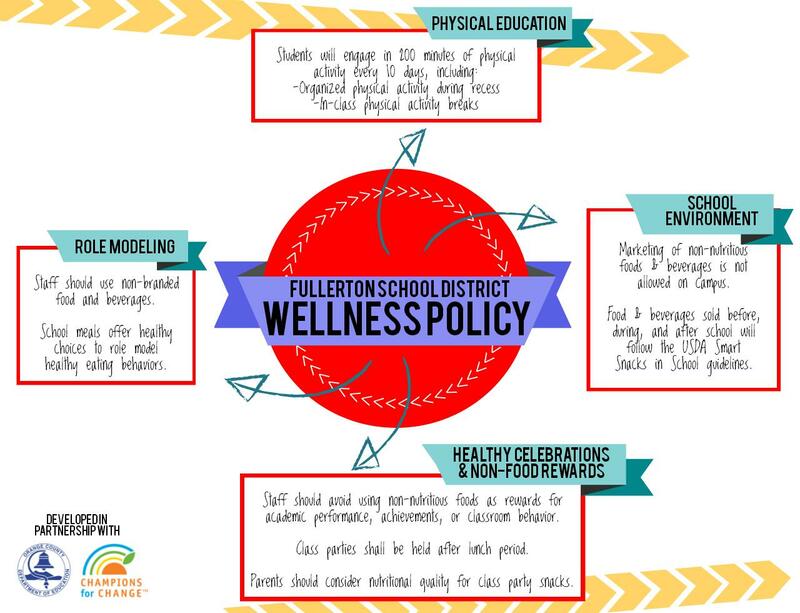 The following Nicolas Junior High School site and Fullerton School District guidelines are provided to ensure students and parents are aware of important information in order to promote student success. Nicolas Junior High School students are innovators and mindful citizens who are determined, capable, and focused. 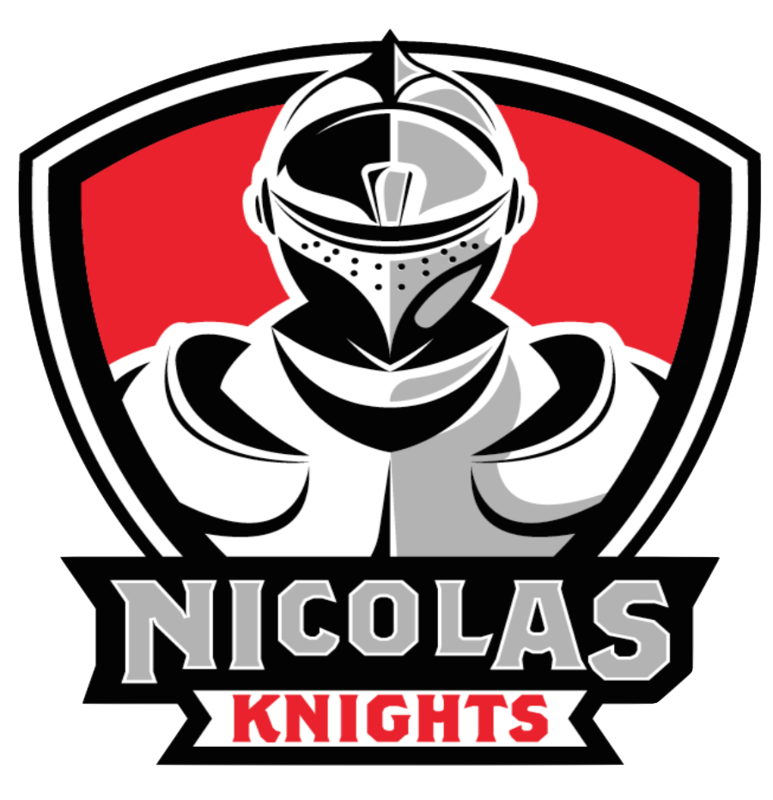 The mascot of Nicolas Junior High School is the Knight. The Knight represents the pride that our staff and students have in our school and community. The school’s colors are red and black. The school was built in 1955 as and elementary school. Nicolas became a junior high school for seventh and eighth grade students in 1956 and has served as a junior high school ever since. The Nicolas office is open from 7:30AM to 4PM each school day. School begins at 8:00AM and ends at 3:00PM Each Wednesday, students will be released earlier in order to provide collaboration time for teachers to focus on instructional planning and articulation. On Wednesdays, school begins at 8:00AM and ends at 2:05 PM. Certain Wednesdays or dates will have earlier release times, and the school will communicate those dates and times. Students are not allowed on campus before 7:30AM and need to leave school promptly at the end of each school day. The only exceptions are students arriving early or leaving late to participate in school sponsored events, activities, interventions and/or discipline. The Library center is open for use during school on days when the media clerk or technician is available. Students must have a pass to enter the Library during class time, unless accompanied by a teacher. Once students arrive on campus, they are expected to remain on campus until after school dismissal. If a student needs to leave school because of an appointment, illness, or for any other reason, a parent or adult over the age of 18 listed on the emergency card must sign the student out in the office and show ID. Visitors to campus must sign in at the front office and may be asked to show ID, schedule a visitation ahead of time, or be escorted by an administrator/staff member. Please inform the office immediately if your address or telephone number(s) change, and make sure all student emergency contact information is updated. After (5) days, any unresolved absence will be considered an unexcused/truancy absence. Students with a fever of 100 degrees Fahrenheit or above, or who are vomiting, should not remain at school. The student must be fever free for 24 hours before returning to school. This allows the child time to recuperate, reduces susceptibility to other illnesses, and prevents other students from getting sick. It is important for all students to be at school and in each class on time. A tardy occurs when a student is not in his/her assigned seat when the bell stops ringing. Tardiness to class interferes with class procedures, instructional time, and negatively impacts student achievement. Tardies accumulate each quarter and will result in increasing disciplinary consequences. Being tardy to a class can result in 15 minutes after school detention for each class tardy, upon parent notification. If a student will be leaving school during the day for a medical appointment, he/she must bring a note from a parent clearly stating the reason, and present it to the attendance office in the morning, before school. When leaving school early or arriving late due to a dental or medical appointment, documentation from the medical office will be requested in order to excuse the absence. Students should be signed in and out at the office for appointments during the school day. The adult must come to the office and show a form of photo identification before signing the child out of school. Students will not be released on their own. Students with excessive absences (excused or unexcused) or students with excessive tardies may be referred to the School Attendance Review Board or Team, after progressive discipline has been applied. Parents/guardians of children ages 6 to 18 are obligated to compel their children to attend school. Nicolas shall abide by all state attendance laws and may use appropriate legal means to correct the problems of excessive absence or truancy. (1) The student can make up an absence, and attendance is taken into consideration for privilege activities such as the Knight Success Party and end-of-the-year activities. (2) The school has an opportunity to recoup funding, which is a way for families to support the school financially with no out-of-pocket expenses. SSOAR is held on scheduled Saturdays throughout the school year from 8am until 12:15pm. We understand weekends are busy. However, a student may only receive credit on their attendance if he/she attends the full 4-hour session. During SSOAR sessions, students participate in a variety of activities, including: Math/ELA benchmark reviews, CST reviews, electives, arts & crafts, PE events, science, STEM labs, and robotics. Students are required to notify a staff member immediately if an injury or illness occurs. Parents are requested to notify the school about any serious health concerns or conditions. The school nurse serves more than one school and is not available on a daily basis, but a health clerk is on campus daily. All medications taken at school, including any over-the-counter medications, must be prescribed by a physician. Education Code 49423 requires an “Authorization for Medication Administration” completed by the physician and parent detailing the method, amount, and time schedules by which the medication is to be taken, before a student may take medication at school. Medication must be provided to the school in the container in which it was purchased/prescribed, and must be clearly labeled with the student’s name. Students are not allowed to carry any medication during the school day unless it is for emergency use, as specified by a physician. Non-prescription medications may not be carried on campus. If a student is ill, he/she needs to report to the Health Office and the office will contact parent. Students are not to contact parents using classroom or personal cell phones. Messages and items brought to school will be available for the student to pick up during passing period, nutrition break, lunch, and after school. In order to maximize instruction time and learning, and to minimize classroom disruptions, items/messages will not be delivered. Students will be called out of class only in an emergency. Gift items, such as flowers or balloons, will remain in the office until the student picks them up at the end of the day. The school provides access to nutritious snacks, food, and beverages, before school, during nutrition, and during lunch for a cost (reduced cost/free lunch may be provided through an application process –see the front office for details or visit www.myschoolbucks.com Otherwise, students are expected to be responsible for their own snack and lunch. Parents may drop off lunches in an emergency or for a special occasion, but not as a daily routine. Fountain drinks will not be accepted. All lunches should have student names written on them. Lunch purchasing is on a first come, first served basis. Saving places or cutting in line is prohibited. Students are to remain in the designated eating areas for the first ten minutes of lunch. Students may not be in classrooms during nutrition or lunch. Students are expected to dispose of all trash items. Littering or throwing of food, ice, drinks, or containers will result in disciplinary action. Cell phones and other electronic signaling devices may not be activated (turned on) from 7:45 am until 3:00. Cell phones may be checked for messages after school. Students may come to the office to use their phones, with permission. Devices activated during the school day will be confiscated and consequences will be applied. Cell phones are not to be used for video or photographic purposes on campus at any time. Our goal is to minimize cyber-bullying and academic dishonesty, while maximizing test integrity. Failure to follow the established guidelines will result in progressive disciplinary consequences including: First offense – confiscation + 1 hour detention; Second offense – confiscation + parent pick-up only + 1 hour detention; Third offense – confiscation + parent pick-up only + check-in/check-out of device at front office each day or device may not return to campus + consequence assigned by administration. Additionally, any student found filming a fight, verbal or physical, will be suspended. If this altercation has also been posted to social media, police can be notified under the cyber bullying act. Skateboards, scooters, toys, sports equipment, practical joke paraphernalia, hats that are not full-brimmed, iPods, cameras, Sharpies/permanent markers/paint pens, White-Out, laser pointers, and any other unauthorized items are not permitted at school. These items will be confiscated and turned over to an administrator. A parent will need to pick the item(s) up from the office. Students assume the responsibility for loss or damage to their clothing, equipment, books, instruments, cell phones, and all other personal belongings. The Nicolas staff strives to protect all personal property but is not responsible for any stolen, lost or damaged personal items. The Fullerton School District is not responsible for lost, stolen, or damaged articles, and discourages students from bringing expensive items (or large amounts of cash) to school. Items found on campus should be brought to the office. Any lost/stolen items should be reported to the office and students should seek assistance in finding lost articles before or after school. Any unclaimed “lost and found” items will be donated to a charity organization at the end of each quarter. The Fullerton School District is not responsible for lost, stolen, or damaged articles, and discourages students from bring expensive items (or large amounts of cash) to school. ALL RIDERS MUST SHOW THEIR BUS PASSES. Bus Stop Safety: Students are expected to respect the privacy and property of homeowners near the bus stop, and conduct themselves in an orderly manner while waiting for the bus. Littering, smoking, throwing any object, vandalism, dangerous play, taunting animals or harassing of others may result in loss of the riding privilege. NOTE: Repeated failure to show passes may result in loss of riding privilege. Bicycle racks are provided for the convenience of students. All bicycles need to be parked in the bike rack at the Hill Street gate entrance. For everyone’s safety, bicycles are not to be ridden on school grounds. In accordance with public law and for their personal safety, students should wear helmets when riding bicycles. The school is not responsible for theft or damage to bicycles. Theft should be reported to the office and to the Police Department. For your protection, bicycles should be registered with the police department. Bicycles must be walked on campus. Students walking to school or receiving rides should be alert to heavy traffic around campus before and after school. For safety, students should cross the street in marked crosswalks only. iPads must come to school fully charged each day. iPads must stay in a protective case at all times. No pictures, audio, or videos may be taken without permission from teacher/administrator/students, and must be for an assigned project. iPads may not be used during nutrition or lunch. Do not allow another student to handle your iPad for any reason, unless directly advised to do so by a teacher or administrator. Do not leave your iPad unattended (this includes in your backpack at lunch). If your iPad is missing/stolen or broken, immediately report it to the office in writing. Students may not add a passcode on the device, download apps, change passwords, or use the iPad for anything other than educational purposes. Again, the above are general expectations. Students should Acceptable Use Policy as well as listen to the instructions and directives of teachers/staff/administration. Eligible students will be invited to attend certain privilege activities. Eligibility is dependent upon the activity, and rules will be clearly displayed/communicated to students prior to the activity. Permission slips may be required. Students leaving early from activities must be picked up by a parent or have a signed note. No guests are allowed. Mosh pits or sexually implicit dancing are prohibited. Dress code will be enforced at all events. Students who are not present for the last 4 classes of the day may not attend dances or privilege activities. Administration reserves the right to revoke privilege activities based on student behavior, citizenship, academics, or other criterion. We encourage our students to be involved in a variety of after-school activities including sports, recreation, clubs, peer tutoring, and dances. Students may begin a club by having a minimum of 10 students sign a petition to be regularly involved in the club. Students must then find a school staff member to be the club sponsor. Once those steps have been completed the club sponsor may place announcements in the bulletin for club events. Students must meet eligibility requirements and provide permission/medical forms as required. Students must be in attendance during the school day to participate in club activities. The physical education program allows each student the opportunity to participate in a variety of activities at a level of skill that produces a feeling of satisfaction and achievement. In addition to the regularly scheduled program., students are encouraged to join after-school sports/intramural programs. Physical education is a course required by the state. Students involved in private training clinics or extracurricular sports are also required to take PE. Students are expected to dress out in appropriate attire to participate in PE each day. If a student does not dress out for PE, they will be issued loaner PE clothes and the following consequences will be in effect: First non-suit - a warning; Second non-suit –1 hour after school detention; Third non-suit – 1 hour after school detention. Students may not wear their PE uniforms home. Students are expected to change back into their school clothes after the PE period. This minimizes non-suits. Students are expected to wash their PE uniforms at the end of each week and return with a clean uniform at the beginning of each week. The PE uniform includes tennis shoes, socks, shorts, and a shirt. Sweatpants and sweatshirts may be used only when weather permitting. Recommended clothing for PE may be purchased through the front office. Each student is expected to keep his/her combination lock for an issued locker safe and secure throughout 7th and 8th grade. Locks that become damaged or lost must be replaced by the student at a cost of $5. If, for any reason, a student cannot take part in full physical education activities, a note MUST be brought from parents or guardians (which is honored for 3 successive days) or from a doctor (if more than 3 days) stating the reason that the student cannot participate. This note must be brought to the office at the beginning of the day. It should not be given to the PE teacher. Fire and disaster drills are required by law and serve as an important safety precaution. It is essential that when the first signal is given, everyone on campus obey all orders promptly. Please be advised, that in the event of a lockdown situation or drill, students will not be released from school until the lockdown has concluded. In the event a major disaster affecting the entire community occurs during school hours, students will be held at school for safety reasons unless notified otherwise. Students will be released to parents, adults over the age of 18 listed on emergency cards, or responsible family members upon their written signatures. Additionally, the individual signing the student out must indicate their expected destination to ensure that each student is safe and accounted for. Students are expected to keep their feet on the ground. Climbing trees, railings or walls is prohibited. While at Nicolas, we uphold a “hands off” rule. Horse-play or play fighting will not be tolerated. Homework is an integral part of a student’s school program and success. Homework supplements class work, and provides students the opportunity to practice foundational skills. Students may have homework each night in all major subjects. Those subjects include, but are not limited to, language arts, math, social science, and science. Homework can range from 50-120 minutes per night (Monday-Friday), and can impact a child’s grade in the particular class (based on teacher). Consistent parental involvement is integral to the homework process and student success in school. Nicolas recommends checking PowerSchool regularly or setting up “notifications” in PowerSchool to review attendance, assignments, and scores. Parents are encouraged to check the student planner regularly and ask questions about the homework. Additionally, parents should check online resources periodically, such as the school website. If a child suggests that he/she has “no homework,” please ask your child to check with his planner or check certain teachers’ websites. Oftentimes, teachers may not assign “homework,” but they do prefer the child to practice concepts or read. Students should also revisit syllabi for “turn-in” and “make-up” policies for particular classes (dates/policies can vary by teacher). Students have the right to make-up work if they have been absent due to an excused absence in a timely manner (see teacher syllabi). Students are expected to ask teachers for any make-up work. Parents may request work when a student will be out for 3 or more days by calling the office. Parents are also encouraged to email teachers. Teachers are allowed 24 hours to prepare requested assignments. If additional work is requested, it will be prepared after the previously requested assignments have been completed and turned in. Report cards are issued to students at the end of each quarter, for a total of 4 times per academic school year. Mid-quarter progress reports are issued to students. Parents may request more frequent communication when a student is in danger of failing or when the student is achieving below the level of expectation. There is a 48-hour turnaround needed for each original copy of transcripts (report cards). Please keep all report cards and testing results for your personal records. Binder/Notebook(s) and Student Planner should be brought to school every day. Keep the Student Planner in the front of the binder. Record assignments in each class and check off the assignments as they are completed at home. Keep a current to-do list. Make a tabbed divider section for each subject and keep all work in the appropriate section. Punch holes in all handouts, quizzes, and supplemental distributed by teachers. Place these items in order. Keep an extra supply of paper in the back of the binder. As a unit of study is completed, follow teacher directions for saving, filing, or recycling unit materials. Binders/Notebook covers should not have any stickers, pictures, drawings, or writing on them which suggest or contain inappropriate content or cause disruption to the learning environment. Note: Teachers may establish specific binder/notebook requirements and guidelines for their classroom. Please note that these are RECOMMENDED Supplies. Students are required to wear their lanyard with student ID with at all times. Students should be prepared to show this ID for all school-related activities or when asked by an adult on campus. Guest teachers are school employees and must be treated with respect and courtesy. Substitute teachers have the same authority as regular classroom teachers and students are expected to follow all directions given by a substitute. For safety reasons, students are not permitted in the hallways during class time unless they are accompanied by a teacher or have a pass from an authorized staff member. Students are expected to their signed planners as a pass to go to the Library, office, health office, counselor, school psychologist, speech & language pathologist, or restroom. Students with special medical needs should notify the office so that arrangements for more frequent restroom use can be arranged. Restrooms should be used before school or during passing periods, lunch, and after school. Except for rare situations or emergencies, students will not be allowed to use restrooms during instructional time. Food and drinks are not to be consumed on campus (except inside classrooms during a rainy-day lunch). Chewing gum is not permitted on campus at any time. Consequences will be given to students who violate this policy, which may include campus beautification and/or gum scraping. Students will be issued textbooks at the beginning of the school year or when enrolled. It is the student’s responsibility to take proper care of their textbooks, and to replace any books that are lost, stolen, or damaged. Fees will be handled through the Library and students will not be issued additional books until the fees are cleared. Unpaid fees may result in the loss of privilege activities. It is important that Nicolas students are respectful and responsible. Students who represent Nicolas must maintain appropriate grades and citizenship. Students who do not meet the requirements may be ineligible to participate in afterschool sports. The staff at Nicolas is dedicated to providing appropriate support and assistance to encourage all students to achieve to their highest potential. Students and parents are encouraged to contact teachers or the counselor to learn about specific programs and interventions available. Students considered to be significantly at risk may be recommended for more intensive academic or behavior interventions. Response to Intervention (RTI) is an integral part of the Nicolas education program. Our full time counselor is available for students who may need assistance with their academic or personal needs that are impacting academics or behavior. Students may be referred to a counselor by (1) a staff member, (2) a parent (3) other students, (4) themselves. Nicolas is proud to recognize our students for academic success, citizenship, and special accomplishments or efforts. Students can earn Nicolas CODE Coins when they are observed being Caring, Open-minded, Determined, or Engaged. Students ID’s will be scanned and points will be added to the student’s CODE account. The Nicolas CODE Store is open every Friday at Lunch and on special occasions. Students can use their CODE Coins to purchase special events and prizes. Front of the Line Passes are earned when students demonstrate excellence in academics, citizenship, improvement, and for special achievements and are issued by the front office. Students who are Caring, Open-Minded, Determined, and Engaged and meet a rigorous set of behavioral standards (including attendance and citizenship standards) will be invited to the CODE Carnival Party, held once at the end of each semester. Students who earn a 3.5 grade point average or above and who do not have any N’s or U’s in citizenship are invited to join the Nicolas National Junior Honor Society at the beginning of the 1st quarter of their 8th grade year. Students will be recognized at the promotion ceremony for compliance in 5 out of 8 quarters (4 quarters of 7th grade and 4 quarters of 8th grade) Three of the 5 quarters must be from 8th grade. While active in 8th grade, members must complete 10 service hours (5 hours on campus and 5 hours off campus) each quarter before the deadline. Members must maintain high standards of academic excellence, leadership, citizenship, and character. For more information, please see/email Ms. Candelaria or Ms. Chavez. Students learn best and feel a sense of pride when they are part of a positive school environment. Positive behavior will be rewarded and poor student behavior will receive consequences. Any disciplinary action taken will be in a fair, firm and consistent manner. All students can and will be expected to behave appropriately. All students will choose their behavior and accept responsibility for behavior choices made. No student shall prevent any teacher from teaching or any student(s) from learning. YOUR ATTITUDE DETERMINES YOUR ALTITUDE!!! Students may be assigned to Lunch Detention as a disciplinary consequence or an academic intervention. Lunch Detention is held during the student’s regular daily lunch time. Students will be provided the opportunity to eat and use the restroom. Students then complete missing/incomplete homework/classwork/tests/projects or participate in campus beautification/trash pickup. Detention may be assigned by an administrator or designee. Detention is held from 3:05-3:55 on Tuesdays and Thursdays. Students will be given a minimum of 24-hour notice and must serve the detention when it is assigned or the consequence will be doubled. To reschedule an assigned detention, arrangements must be made prior to the date of the assigned detention and by parent request. Extenuating circumstances must be present, such as lack of after school transportation, in order to reschedule a detention. Students may be assigned to Saturday School for unresolved absences, truancies, or for additional academic support. Parents will be notified of any Saturday School assignment. Failure to serve an assigned Saturday School or to complete the day may result in suspension from school. (h) Possessed or used tobacco, or products containing tobacco or nicotine products, including, but not limited to, cigarettes, cigars, miniature cigars, clove cigarettes, smokeless tobacco, snuff, chew packets, and betel. However, this section does not prohibit use or possession by a pupil of his or her own prescription products. (q) Engaged in, or attempted to engage in, hazing. For purposes of this subdivision, “hazing” means a method of initiation or preinitiation into a pupil organization or body, whether or not the organization or body is officially recognized by an educational institution, which is likely to cause serious bodily injury or personal degradation or disgrace resulting in physical or mental harm to a former, current, or prospective pupil. For purposes of this subdivision, “hazing” does not include athletic events or school-sanctioned events. Law enforcement officers have the right to interview and question students on school premises. When such an interview is requested, the Superintendent or designee shall ascertain the officer’s identity, official capacity, and the authority under which he/she acts. If the officer needs to interview or question the student immediately, the Superintendent or designee shall accommodate the process in a way that causes the least possible disruption to the school, gives the student appropriate privacy, and models exemplary cooperation with community law enforcement authorities. Except in cases of child abuse or neglect, the Superintendent or designee shall notify the student’s parent/guardian when a law enforcement officer requests an interview on school premises. At the law officer’s discretion and with the student’s approval, the Superintendent or designee may be present during the interview. Dishonesty, cheating, forgery, or plagiarism involves an attempt by a student to show a level of knowledge or skill which does not reflect his/her own learning. Consequences for breach of academic honesty may include no credit on assignment or test, referral to the office, notification to parents, lowered citizenship, as well as possible loss of membership in National Junior Honor Society, and loss of school promotion privileges, etc. (see Board Policy 5131.9). submit as original work anything you have copied, faxed, duplicated, printed, or technologically transmitted from person to person (such as through file transfer, email, social media, or other electronic means). use unauthorized aids during tests, such as formulas, codes, and/or key words on your personal objects or yourself, hidden reference sheets, or programmed materials in watches, calculators, or computer programs. do work, either printed, written, or electronic for another person without the express written permission of your teacher. submit someone else’s assignment or submit work done by family, friends, or tutors as your own, as a whole or in part. steal or pass off as one’s own the ideas or words of another (plagiarism). This includes using material from a published source (print or electronic) without giving credit to the author or artist. are in possession of tests or test answers without the permission of your teacher. fail to follow additional specific guidelines on academic honesty as established by your teacher. No student or group of students shall, through physical, written, verbal, or other means, harass, sexually harass, threaten, intimidate, cyber-bully, cause bodily injury to, or commit hate violence against any other student or school personnel. Bullying is a serious issue and all school staff, community, and students must meet the challenge of creating a safe and secure community for everyone. We believe that all students are unique and of equal value regardless of academic ability, class, creed, gender, race, orientation, belief system, or socioeconomic status. Bullying is when another student or group of students causes personal, physical, or mental suffering, however great or small, to another. It includes teasing, playing practical jokes, threatening, name-calling, ignoring people, dirty looks and other acts that cause hurt. These behaviors show an imbalance of power (i.e. multiple students versus one student, bigger versus smaller, weak versus strong) and are repetitive in nature. Cyber-bullying includes the transmission of harassing communications, direct threats, harmful texts, sounds, images on the Internet, social media, or other technologies using a telephone, computer, or any wireless communication device on school premises, or off campus in a manner that causes or is likely to cause a substantial disruption of a school activity or school attendance. Cyber-bullying also includes breaking into another person's electronic account and assuming that person's identity in order to damage or victimize that person's reputation. Students filming verbal or physical fights can be suspended unless they immediately bring the video to school officials. If the verbal or physical fight is posted to social media, police can be notified under the cyber bullying act. Students are encouraged to notify school staff when they are being bullied or suspect that another student is being victimized. Students can email a teacher or administrator, report bullying anonymously by writing a note and placing it in the ‘Suggestion Box’ by the front office, or by stopping by the counselor’s office or main office and submitting a statement. When the circumstances involve cyber-bullying, individuals with information about the activity shall be encouraged to save and print any electronic or digital messages sent to them that they feel constitute cyber-bullying and to notify a teacher, counselor, or administrator so that the matter may be investigated. District policy states, “Any student who engages in bullying on school premises, or off campus in a manner that causes or is likely to cause a substantial disruption of a school activity or school attendance, shall be subject to discipline, which may include suspension or expulsion, in accordance with district policies and regulations.” Consequences may include conflict mediation, counseling, social group, apology letter, lunch detention, social probation, detention, and/or Saturday School. We, the students of Nicolas Junior High School agree to join together and stomp out bullying and cyber-bullying. We believe that everybody should enjoy school equally by feeling safe, secure, and accepted regardless of color, race, gender, popularity, physical attributes, athletic ability, age, and/or religious preference. Bullying can be, but is not limited to: pushing, shoving, hitting, spitting, name calling, picking on, making fun of, laughing at, and/or excluding someone or several people. Cyber-bullying is harassing, humiliating, threatening or embarrassing another person through electronic methods, such as instant messaging, email, postings on social media websites, or text messaging/messaging apps. Bullying causes pain and stress to victims and is never justified or excusable as “kids being kids,” “just teasing” or any other rationalization. The victim is never responsible for being a target of bullying. Value students’ differences and treat others with respect. Not become involved in bullying/cyber-bullying incidents or be a bully. 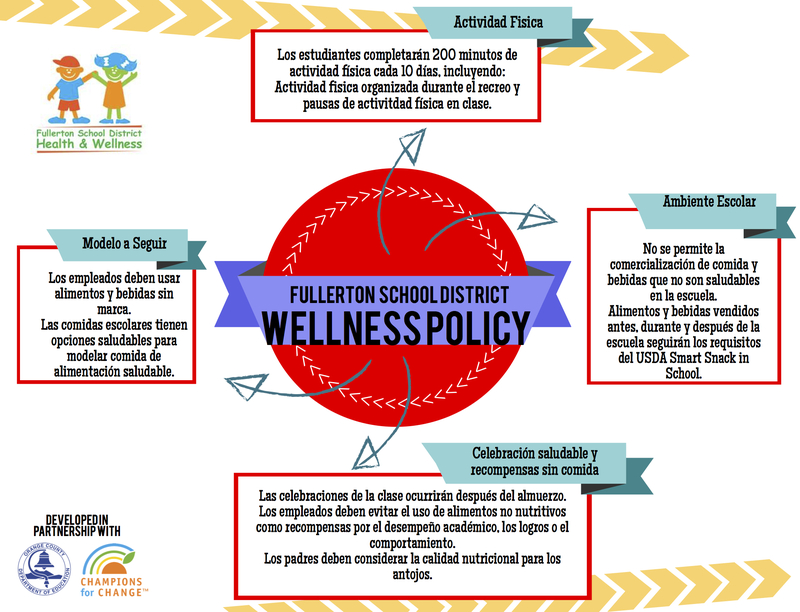 Be aware of Fullerton School District policies and support system with regard to bullying/cyber-bullying. Acknowledge that whether I am being a bully or see someone being bullied, if I don’t report or stop the bullying/cyber-bullying, I am guilty of supporting bullying. Be alert in places around the school where there is less adult supervision and bullying is more likely to occur. Support students who have been or are subject to bullying/cyber-bullying. Work with other students, teachers, school staff members, and administrators to help the school deal with bullying effectively if it should occur. Be a good role model by upholding my pledge in supporting zero tolerance toward bullying/cyber-bullying. Each of us is different! Expect it! Respect it! Accept it! A student who has witnessed or been a victim of harassment of any kind is urged to bring the problem to the attention of school personnel so appropriate action may be taken to resolve the problem immediately. Nicolas Jr. High School encourages students to dress appropriately for school. The daily clothing/attire should be conducive to an educational environment and should not be disruptive of school operations and the educational process. In cases of questionable clothing choices, the school administration and the Fullerton Police Department reserves the right to determine the appropriateness of the student’s attire. Dress or grooming is prohibited if it is obscene, libelous, or incites students to create a clear and present danger of unlawful acts of a substantial disruption at school. Clothing should be clean and in good repair, holes can only be from the knee down. Pants must be worn at the waist and must fit the waist without a belt. Visible undergarments are not acceptable. Belts must be appropriate to student’s waist size with plain belt buckles. No excessively long belts are allowed. Clothing must entirely cover the front and back of the student to the waist. No bare-midriff, halter, off-the-shoulder or spaghetti-strap tops are allowed. All students must wear shirts with sleeves. Tank tops are not allowed. Footwear must be worn at all times on campus and have hard soles (Tennis shoes are appropriate/acceptable, soft-soled slippers are unacceptable). Pocket chains (such as might be used to hold a wallet or keys) are not allowed. Clothing promoting the illegal or commercial use of drugs, alcohol, or tobacco products or that includes sexual innuendo is not permitted. Styles of clothing (jackets, shirts, hats, lettered belt or belt buckles, “sagging,” make-up, hair, etc.) which symbolize affiliation (as identified by the Fullerton Police Department) with negative youth groups are not allowed. A pupil who comes to school without proper attention to personal hygiene or cleanliness of dress may be sent home or asked to change clothes. Pajama bottoms sweat pants are prohibited. Clothing that is too revealing (i.e. low-cut tops, short shorts, or clothing which allows undergarments to show) is not allowed. Skirts and shorts shall be worn at an appropriate / acceptable length for sitting as well as standing so that undergarments do not show. Skirts and dresses may be of any style if all slits, openings, and the length are no higher than half the distance between the knees and waist, and do not expose one’s underclothing. No undergarments or posteriors should show. Students may not display writing or drawing on their bodies. T-shirts may not be worn over another long sleeve shirt. Socks may not be pulled up more than 4 inches. The top button of shirts and jackets cannot be buttoned. Leggings are not allowed. Unless the leggings are under a skirt. No ear plugs or spikes..
Beanies, baseball caps, and hoods are not allowed. Only full-brimmed hats may be worn outside. Nicolas staff members may use their discretion in deciding if a student’s dress is inappropriate. Any time a staff member believes a student’s dress is inappropriate or causing a disruption, the student will be referred to the office. Students will be required to wear school-supplied garments to cover inappropriate clothing or remain in the office until a parent/guardian is available to bring a change of clothing. In order to promote good health habits, students are encouraged to use sunscreen protection on a regular basis. Students are also allowed to wear certain hats to school in an effort to protect themselves from cancer and other hazards related to sun exposure (SB310). The Nicolas Jr. High School hat policy is intended for outdoor use only. Acceptable hats must be full-brimmed, providing protection for the face, ears, and neck. Hats must also meet all other dress policy requirements. Beanies and baseball caps are among the hats that are not allowed unless prior approval.